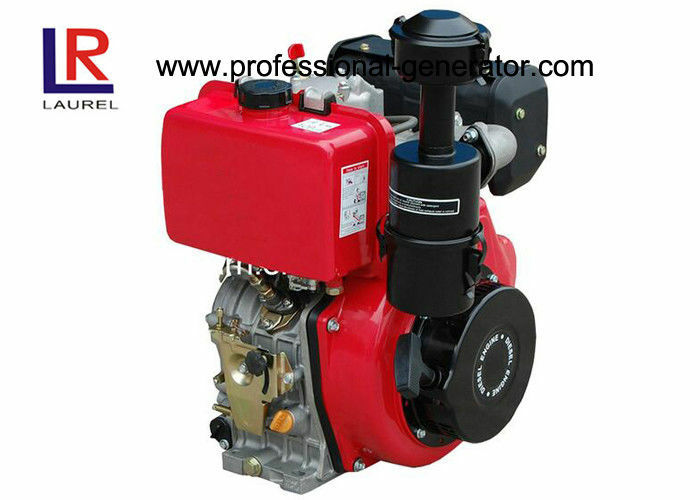 1) 3HP--12HP, air-cooled, 4-stroke, single cylinder, diesel engine with multi PTO shaft. 2) Good parts assembled, such as the steel cam, crankshaft, recoil starter, electric start and thicker crank case. 3) Particular testing to make sure the accurate frequency and turning speed. 4) Battery and electric starter included for electric start. 5) Compact structure, beautiful appearance,small volume, light weight, fuel consumption is low, the power is great. 6) Start convenient easy, low noise,little vibration,smooth operation,reliable performance. 7) OEM welcome, small order acceptable, ample supply and prompt delivery. 1) Most kinds of engine models, advanced technology, long performance life. 3) Top quality, Competitive price & Good after-sales service. 5) We can supply sample, also supply the parts. A: TT, PAYPAL, WEST UNION, DA, Credit card up to you. Q2. What is your term of delivery? A: Generally, it will take 24-48 hours after receiving your advance payment. Some is one week. The specific delivery time depends on the items and the quantity of your order. Q4. How to produce customized products? Q5. How to get a sample?